One problem with watching a remodeling project on TV, however, is that these shows rarely take into account all of the “boring” projects that add more value to your house than the cosmetic fixes you see. One example of what some may feel is a boring project is a new roof. Another example is adding insulation to your attic. These shows are made to sell fancy design and a lifestyle, not to provide expert guidance. Many homeowners assume, because of how trendy it is to “fix up” homes, that any project will add value to their homes. They use this information to decide to take down walls or add expensive light or bathroom fixtures. However, home projects aren’t fool-proof. If you are taking down walls to fit your own needs for the house, you need to consider how a future buyer would want to see. If you combined two bedrooms to make one big one, did you really add value? Or suppose you took down a wall in the kitchen but also took out cabinet space. That remodeling decision might work against you if you try to sell your house in the future. This myth goes hand-in-hand with myth #1. Expensive materials don’t always add value. In other words, you may not get your money’s worth. Or worse: you may have potential buyers walk away because they can’t afford your house with all the expensive upgrades. This myth-buster goes for indoor and outdoor materials. We encourage our clients to choose materials that aren’t too far outside of what their neighbors have for roofing and siding. Selling the most expensive house on the block can be challenging. Materials and designs that are too trendy can work against you in the same way down the road. Color, style, and shape trends change surprisingly quickly. Hiring a contractor to help you through a remodel with many design choices can be remarkably helpful. You might think you are up for designing a whole project yourself. However, your contractor has done a number of these. He or she knows the entire scope of the project. He or she can also shield you from pressuring sales tactics by guiding you toward more classic designs and long-lasting materials. When it comes to home value, both interior and exterior design and updating should be a priority. The exterior of your home says a lot about how well your home is maintained. You might be surprised by how much your roof matters to a potential buyer in comparison to that trendy bathroom design you thought would be a big seller! Not only do most of these things add value and improve the functionality of your home, but replacing them can update and freshen the look of your home immediately. Not everyone thinks they can do a home remodel by themselves. However, there are more and more shows and blogs devoted to the idea that you can do most home remodeling projects on your own. The companion to this myth is that it’s always cheaper to do it yourself. The truth is that most home remodeling projects are significantly more time consuming and expensive than you ever thought possible. In addition, you are much more likely to make a costly mistake and hurt yourself than an experienced and trained team. A good contractor can do the work faster, more efficiently, and cheaper than you can do it yourself (unless you happen to be a skilled contractor). Even better: when you sign a contract with a professional, you are protected in case of mistakes and your contractor’s insurance will cover the cost of injuries. This is not the case when you attempt to go it alone. If you are thinking about a home remodeling project, it’s always best to talk to a professional contractor in person. Often, a contractor can save you money and make clever suggestions to make sure you’re getting the best value for what you spend. This expertise is something a TV show will never be able to equal. 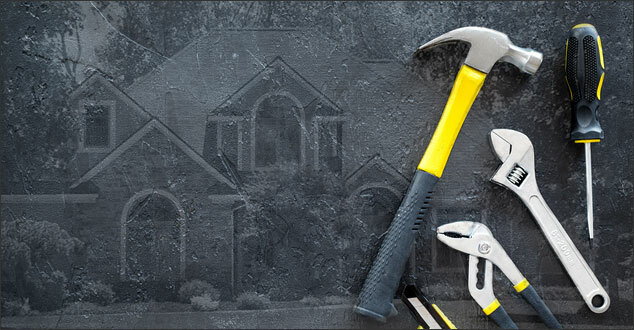 If you are considering a home remodeling project and live in Southeast Michigan, please give us a call. We would be honored to help!